Lightly sweet with a hint of orange makes this bread perfect for any meal or snack. It's wonderful with a bit of honey or jam too. Make a few batches and freeze your extra loaves wrapped tightly in plastic wrap and foil. 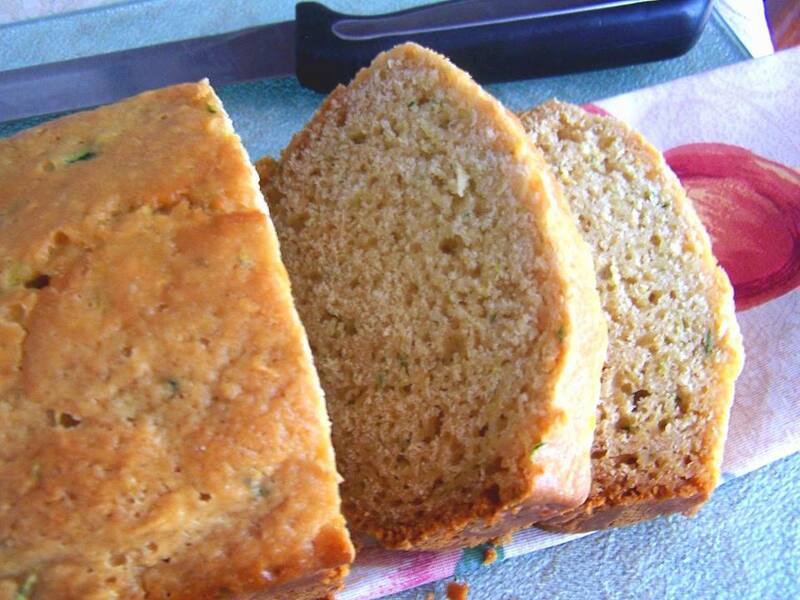 It's a great way to use up all of those gorgeous organic zucchini's! 11/20/13 Revised this recipe to make it more moist. Combine the flours, baking powder, xanthan gum or psyllium husks and salt in a bowl. Add zest if using, stir and set aside. In the large bowl of your mixer, whisk the eggs and honey together. Stir the flour mixture into the egg mixture and beat for several minutes. Grate the zucchini on several layers of paper towels and squeeze out moisture. Add the zucchini to the egg mixture and fold/stir by hand to blend. Bake 45 minutes or until brown and a toothpick comes out mostly clean. Wrap in plastic wrap when completely cool. Can be kept on the counter for one to two days. For longer storage refrigerate or freeze. Flour substitutions: Use 4 cups of your favorite gluten free flour mix instead of individual flours and tapioca starch. Omit xanthan/psyllium in recipe if included in mix. Or if you don't need gluten free use 4 cups of "regular" flour blend of choice instead of gluten free flours and tapioca starch. Omit xanthan gum completely.